Alfa Romeo Giulietta 1.4 TB MultiAir Super 5dr TCT [Lusso] 2019 Review | What Car? What Car? will save you at least £1,498, but our approved dealers could save you even more. 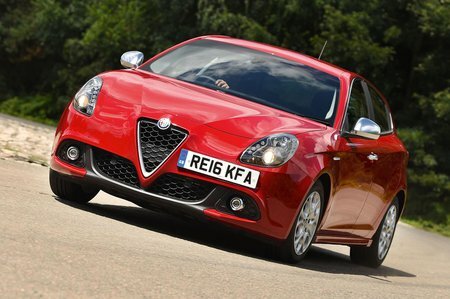 This 1.4-litre engine punches well above its weight, with an impressive 168bhp and 184lb ft of torque. Performance is strong, refinement is good and there’s no penalty in fuel economy or CO2 emissions for choosing this engine over the Multiair 150. In fact, if you go for the optional TCT twin-clutch transmission instead of the standard six-speed manual, the official figures are significantly better. If you’re after a sporty petrol engine this is a fine option.